» Axel is here to stay!!!!!!!!!!!!!!!!! » Canon List READ BEFORE POSTING IN CHARACTER IF YOU WANT A CANON CHAR.! Canon List READ BEFORE POSTING IN CHARACTER IF YOU WANT A CANON CHAR.! The bit before you select 'The worlds' section says Roleplay at the top, doesnt it? But of course us staff can do stuff the normal members do! 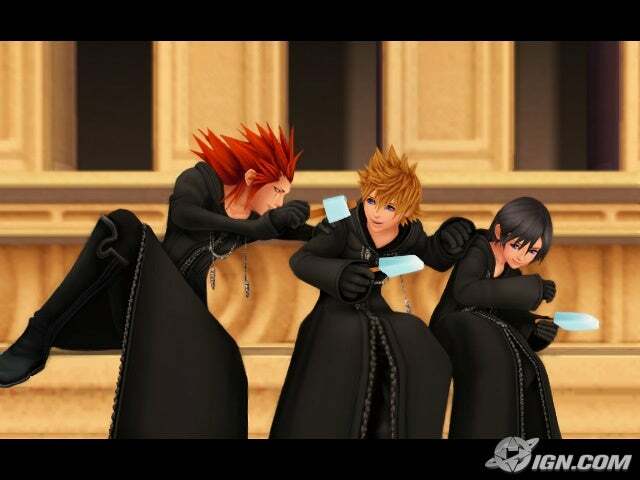 So I imagine everyone knows about the new fourteenth member of Organization XIII. Xion. A pale-toned, black haired female shrouded in mystery (who looks exactly like Kairi and Namine)--but only until the game comes out on Nintendo DS. Here are the release dates for Japan and America.